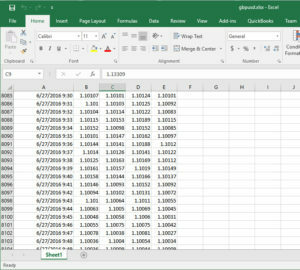 Tutorial 112 demonstrates how to transfer price data from a Price Series Provider applied to a chart to an Excel spreadsheet and to keep the data updated as new bars are formed. The tutorial uses the Workbook and PriceSeriesProvider classes. When the program opens, data from the price series provider is loaded. 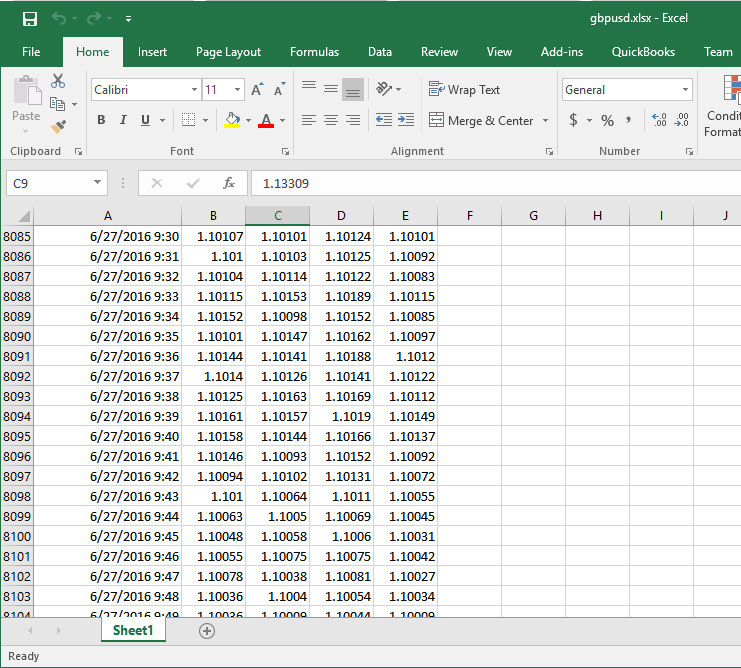 On the last bar on the chart, data is added to the Excel spreadsheet for each data item in the price series provider. From then on, each time the price series provider is updated, the new data is added to a new line on the spreadsheet. Tutorial 112 does not have inputs. Information for the price series provider (such as symbol name and bar duration) are hard coded in the program, although it would be easy to take this and make it an input. Tutorial 112 is available for IMMEDIATE download for $29.95 by clicking the ‘add to cart’ button. The download ELD includes _Tutorial 112 an EasyLanguage indicator. Tutorial 112 was developed for TradeStation 9.5 and will not work with MultiCharts.